At Gills Dry Cleaners we are very proud to offer an unparalleled level of service to our customers. 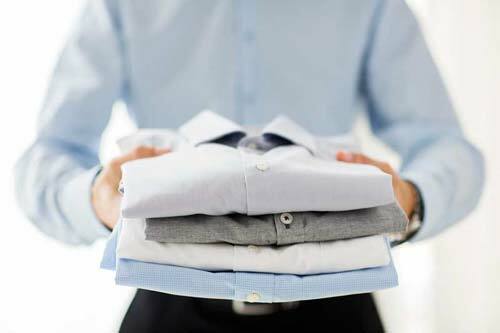 Our experience and attention to detail allows us to offer a dry cleaning and laundry service we believe is second to none. Our state of the art dry cleaning and laundry process together with our dedicated staff means we always deliver on time. For nearly forty years we have perfected our processes to be environmentally friendly, tough on stains while being gentle on fabrics. 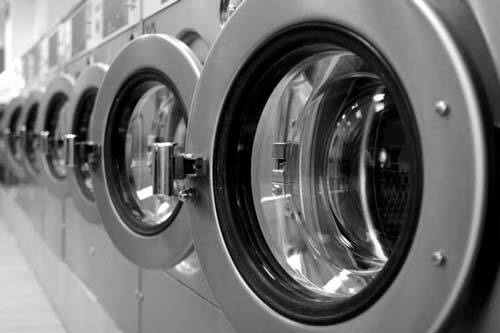 With our full service laundry, you are able drop off your laundry at any time and we will wash, dry and fold your entire laundry for you to pick up at your leisure. For those who prefer the ultimate service, we will separate colours, iron and press all your laundry ready for collection. We can meet all your laundry requirements and our staff are always willing to help and offer assistance with any queries. Whether it’s a suit from Louis Copeland, a dress from Louise Kennedy or a cardigan from Carraig Donn our staff will care for your clothes diligently. We use the most modern dry cleaning systems to ensure your fabrics are cleaned thoroughly. 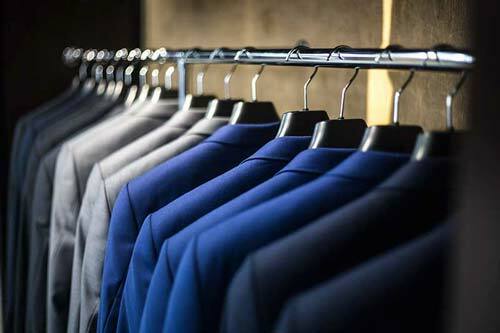 Our fabric friendly dry cleaning process and the experience of our staff will always make sure your items will be presented on time perfectly cleaned. We offer bespoke solutions to business customers who wish to outsource their laundry requirements. We work with guesthouses, hotels, health service providers, sports clubs, retail shops, companies large and small and everything in between. Our aim is to always provide a service that fits your pricing and schedule. We understand logistics and our services are always geared to give you the best value for money. Collections and deliveries are always available to suit your needs. Our Wedding dress cleaning and care service is the perfect solution to care for your wedding dress after the big day. We have been providing cleaning services for wedding dresses for many years and we are regarded as experts when it comes to looking after your treasured items. 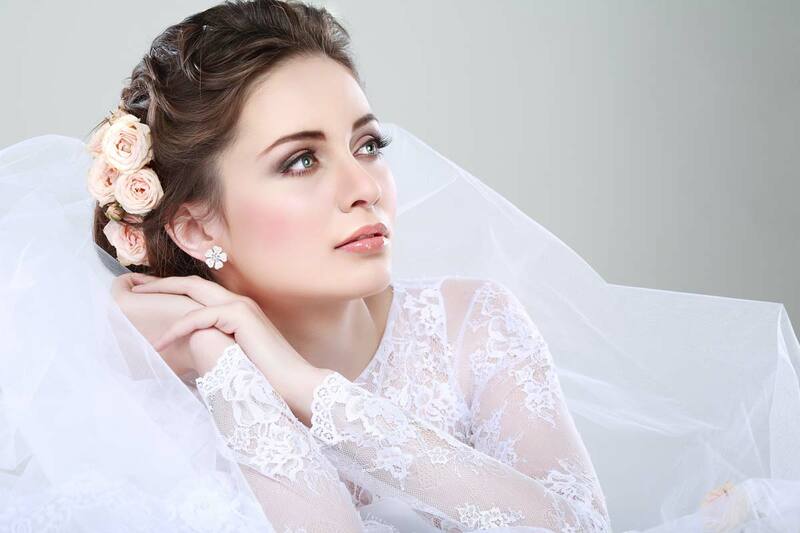 We take special care with all your garments and understand that your wedding dress is extra special. No one dress is the same and that includes the many types of fabrics, beading and details that need extra special attention when cleaning. The second service is an addition to the cleaning where your gown is placed into a carefully selected archival quality presentation box. After your dress is cleaned we take extra special care in placing your dress in packaging materials that are specifically designed for wedding dress fabrics. We then place your dress in a presentation box that has a protective film on the front allowing you to view the dress without removing it from the protective casing. You can now display your dress to friends and family while been assured your dress is always protected from the environment with our state of the art wedding dress presentation box. At Gills Dry Cleaners, as a business, we believe we have a responsibility to our staff, customers and our locality when it comes to the environment. We work very hard to make sure that our business has a positive impact on our community and a negative impact on our environment. As an industry we are highly regulated and at Gills Dry Cleaners we meet and surpass all regulations. We have gone even further to help our environment by rolling out more modern equipment and processes at our stores to have a positive effect on our environment. 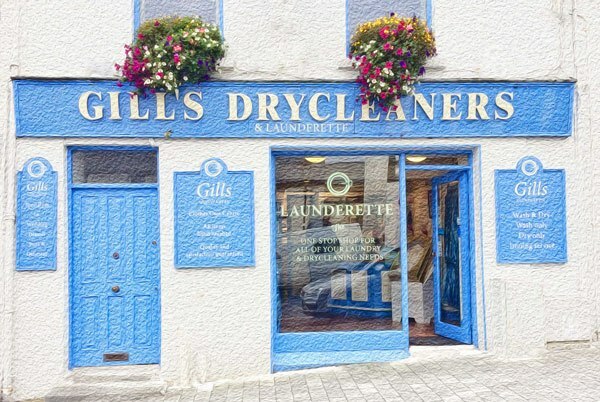 For nearly forty years Gills Dry Cleaners and Launderette have led the way in quality cleaning and clothes care in Ireland. A personal service, hand finishing garments and unfailing attention to detail are routine at Gills Dry Cleaners and the reason for our success in keeping our customers happy over the years. Starting with the original shop in Westport, Frank and Martina Gill now operate three stores in Mayo at Westport, Castlebar and Ballina and one store in Dunshaughlin Co. Meath. Our highly trained staff, professional and personal service, state of the art Eco Friendly equipment and attention to detail is the key to Gills Dry Cleaners success now and in the future. We rely on our clientele to keep us in business and we never take for granted the choice our customers make in choosing us to take care of their dry cleaning and laundry requirements. We always aim to exceed our customers expectations. We provide a quality service and achieve this by listening to our staff and our customers. We are always willing to adapt and change to meet our customers expectations and offer a better service.